In the current context of ever-progressing globalisation and urbanization, multiculturalism is often seen as a problematic phenomenon belonging to the modern world. However, linguistic and cultural diversity are deep-rooted in the history and life-style of the community in Agnack Grand , where many of the villagers are fluent in six or more languages. 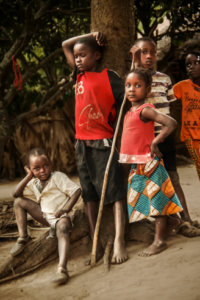 Multilingualism is not only an emerging product of urban education and migration, it is an integral characteristic of many rural African communities. Found at the intersection of two rivers in Casamance, Agnack is a meeting point. The constant inflow and outflow of water and people alike gives the village its rich cultural diversity, each new person bringing with them their languages and beliefs and adding to the community’s fluid identity. In Agnack, educational and social management of multiculturalism is achieved through the sharing and tolerance of linguistic and cultural differences. 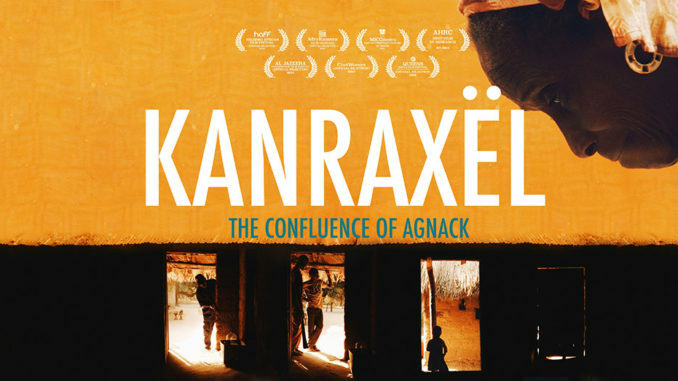 Kanraxël – The Confluence of Agnack is a unique and immersive documentary film, placing its viewers in the midst of the busy, social lifestyles of the Agnack community as they prepare for the celebration of the first anniversary of their late leader’s death. The observational style offers an intimate insight into the rituals, chores and social interactions of the villagers, by letting them drive the film’s story and content. Inevitably, the decision to remove the documentarians from any presence within the film broaches the dilemma of authenticity verses aesthetics. Arguably, Kanraxël forfeits an element of factual transparency by evading the truth of the film crew’s presence and unavoidable influence. 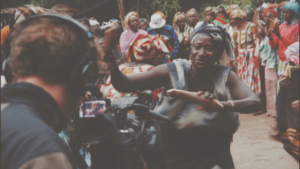 However, aesthetically, the film’s cinema vérité style focuses attention on the villagers, bringing the audience as close to the social actors as possible and reflecting the filmmakers’ aim to minimise their disturbance. By capturing the spoken languages within the social and practical contexts of their everyday use in Agnack, Kanraxël reveals how language is interwoven in culture, worship, entertainment, work and relationships. Although the lively shots of casual conversation over chores and meals does not provide the detailed and isolated footage of individuals speaking required for technical linguistic analysis, the film priorities a social and cultural insight into how multilingualism is managed in Agnack. 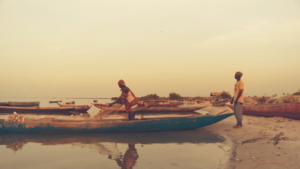 The film stands out from the more typical “problem story” documentaries focusing on the hardships and crises faced by rural African communities. In Kanraxël, Chouette Films captures a positive and celebratory viewpoint on the amazing diversity of cultures and languages seamlessly integrated in the Agnack community. This project delivers to first world audiences a valuable message about achieving harmonious multiculturalism. The abundant learning resources created alongside the film enhance the accessibility of the valuable educational material that the project offers. These school and university resources are available online and highlight issues and discussion topics which will be of interest to students of linguistics and many other subject areas. The breadth of issues that the film broaches, from the spiritual and sociological to the linguistic, agricultural and economic, renders it an extremely versatile resource. As a recognition of the community’ fundamental importance and involvement in the project, Kanraxël’s premier screening was held in Agnack. A villager’s reaction, “This is us! This is who we are!”, was the most rewarding review Chouette could have imagined: an acclamation of the film’s success in encapsulating the lively and colourful character of the village.